This year's lineup for Trillectro is packed with what will be dope performances from Big Sean, Migos, Baauer, SZA, Rae Sremmurd, Fat Trel, Lunice, and more. Expect some surprises as well. 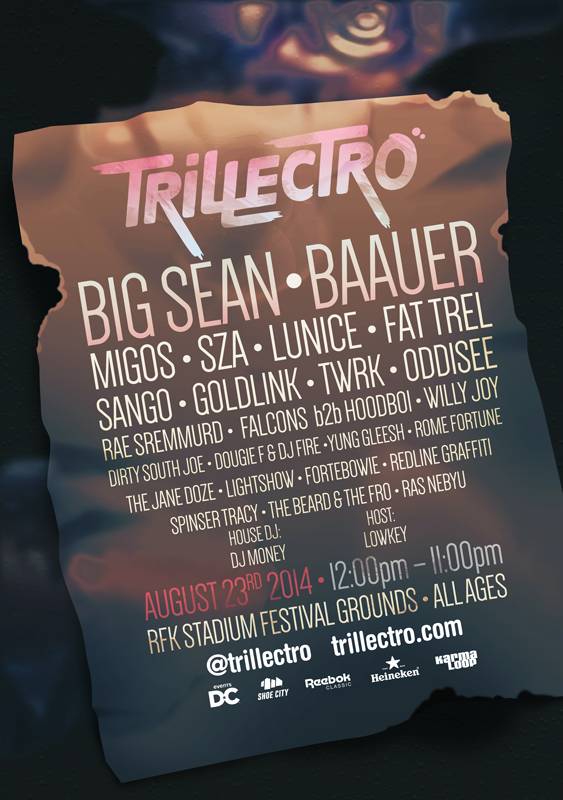 Trillectro will go down August 23rd and the RFK Festival Grounds in Washington D.C. with tickets available here. Check out the full lineup below and be sure not to miss out on this. See you there!